Thousands of runners will pound the pavements this summer for the inaugural Durham City Run. 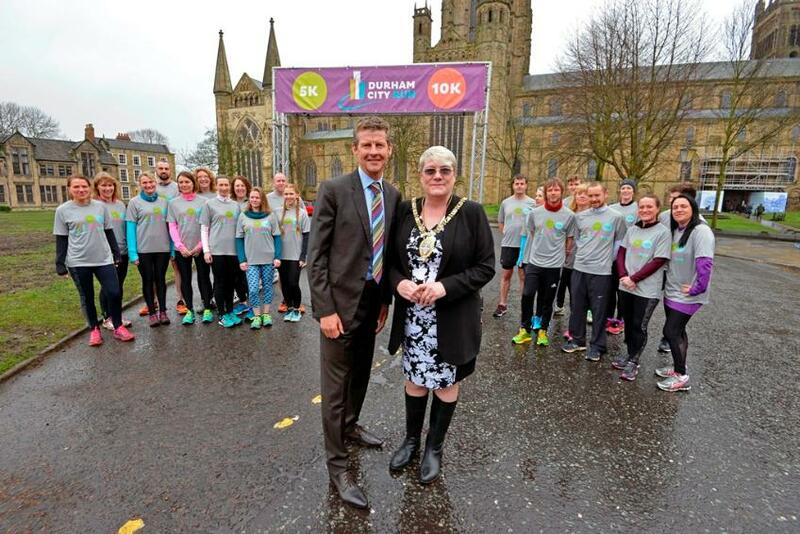 This exciting new event is presented by Durham County Council in partnership with the sporting legend Steve Cram’s Events of the North and will see both 5K and 10K events take place on July 20. Steve Cram said: “Durham is one of the UK’s most beautiful and historic cities and it is a fantastic venue for running. “We’re delighted to be working with Durham County Council to deliver what I believe can develop into an iconic event in the North East. “The route will challenge both novice and committed runners, but also reward them with some magical views and a finishing line that’s on a World Heritage Site. The undulating five kilometre route – which 10K runners will complete two laps of – will take in many of the iconic landmarks in the ancient city before finishing on Palace Green, between Durham Cathedral and Castle. The course has been designed to offer excellent vantage points for spectators, so friends and family can cheer on runners throughout the event. Cllr Maria Plews, the council’s cabinet member for leisure, libraries and lifelong learning said: “Jogging and running are two of the most effective exercises you can do to both start and stay active. “We already have a number of specific clubs and organised events across the county – but to bring a large scale participation race to the historic streets of Durham is a fantastic opportunity. “I particularly hope the 5K race will appeal to people who are just starting out and provide a real target for them to achieve this summer while celebrating the benefits of a more active lifestyle.